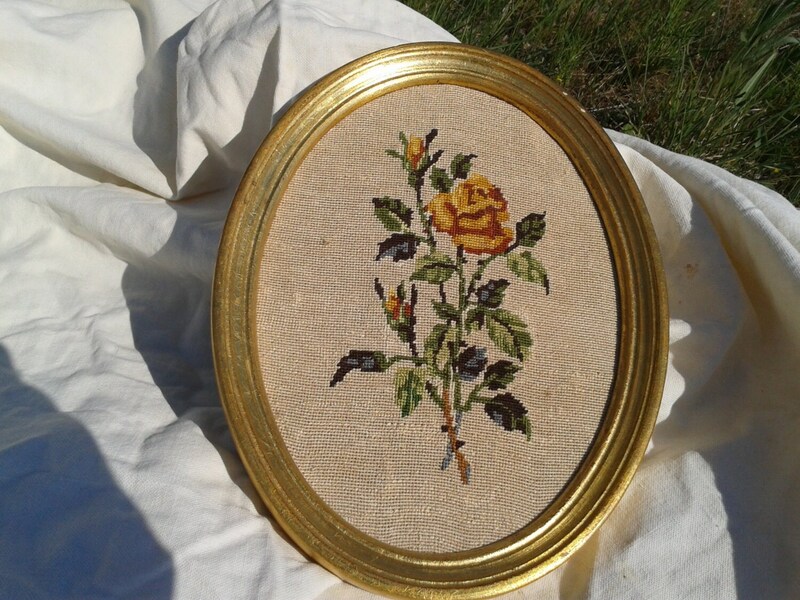 Lovely French Handmade petit point tapestry. 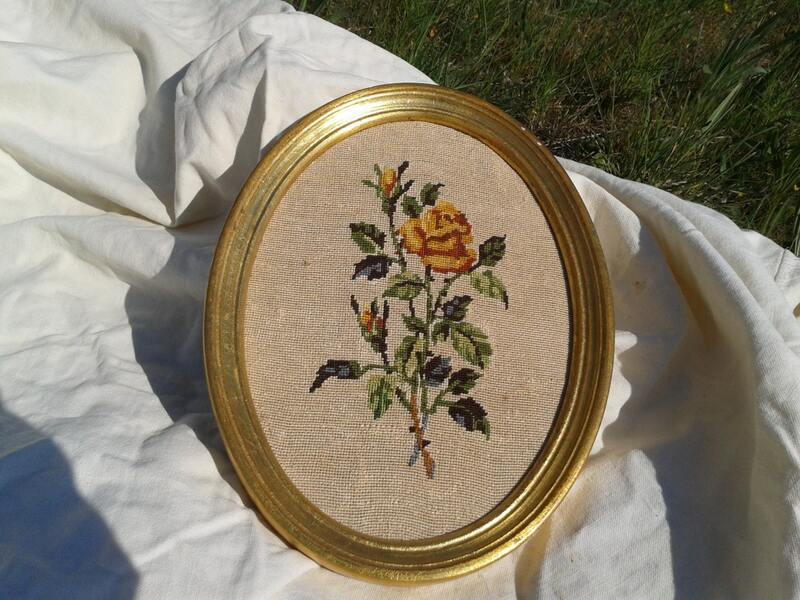 Needlepoint Rose Tapestry framed. Beautiful yellow roses floral bouquet. 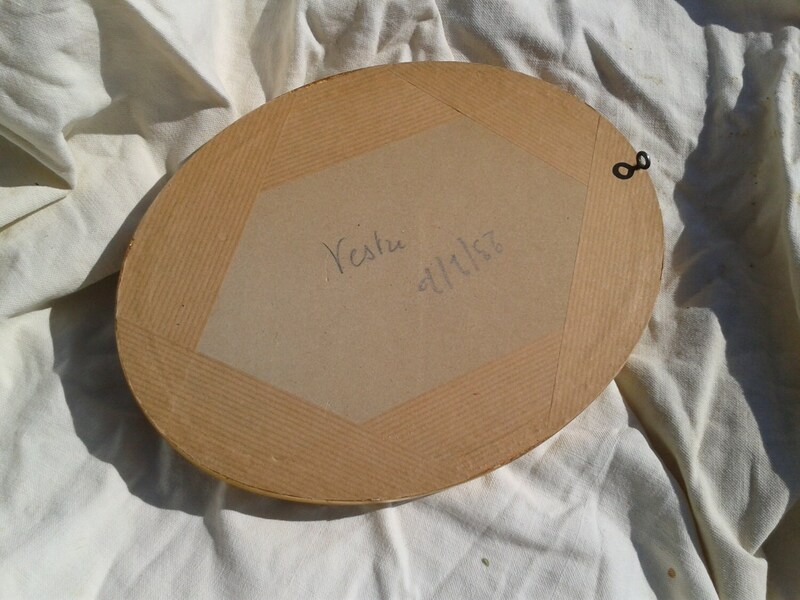 Original oval golden frame size 9 x 6.6 in. Good condition dated on the reverse 2/23/70. Beautiful handmade work to decorate bedroom or boudoir !